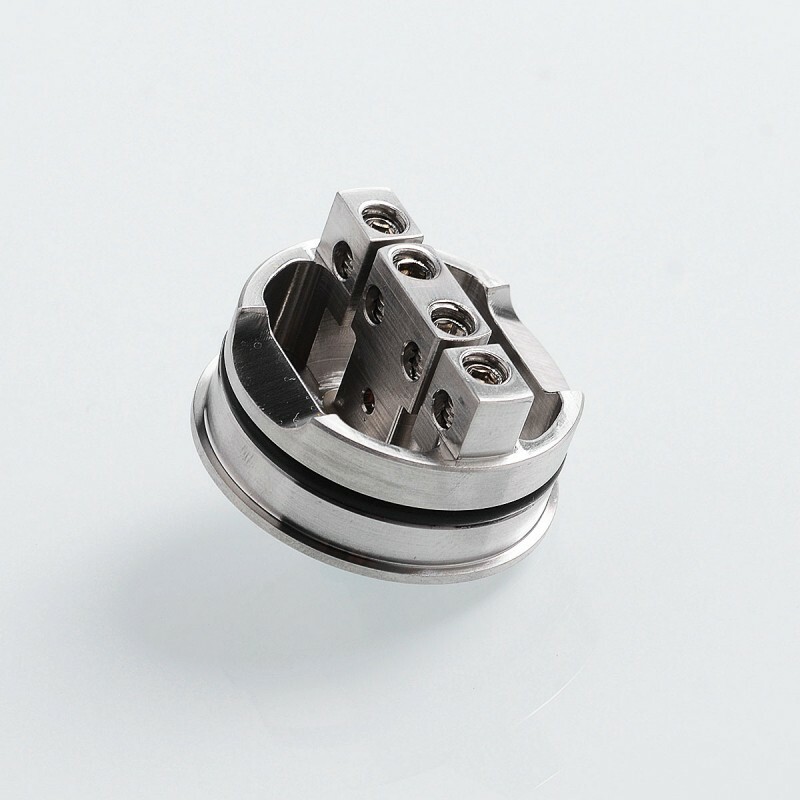 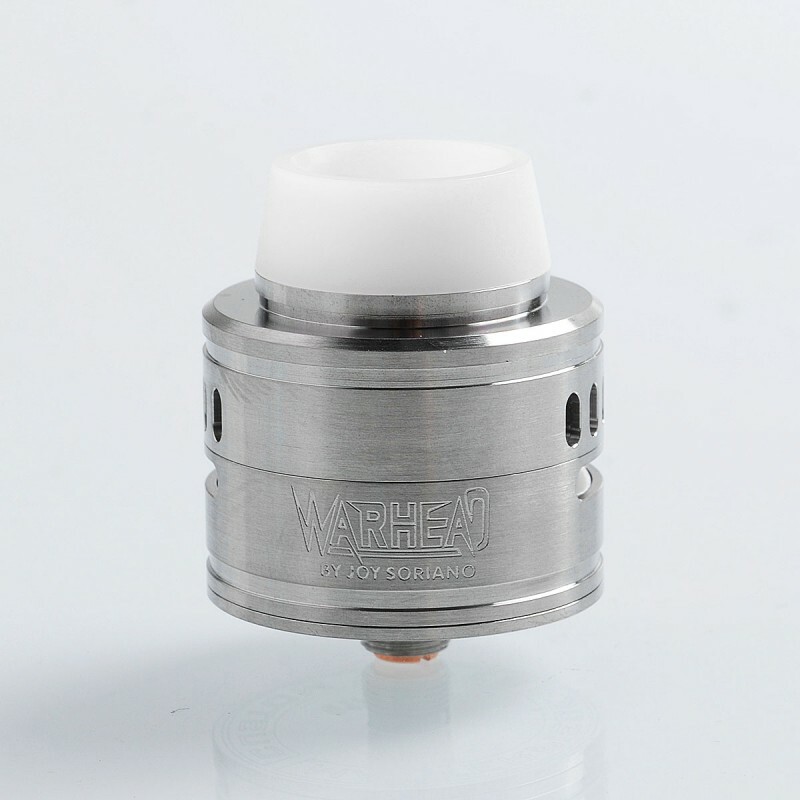 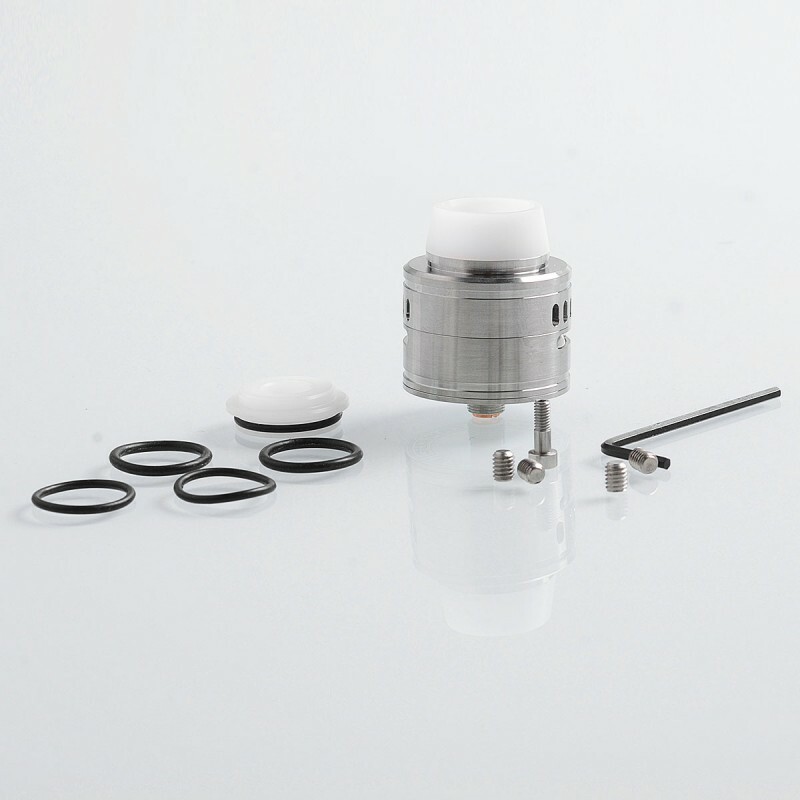 The YFTK Warhead Style RDA has a beast size of 30mm and is constructed from 316 stainless steel. 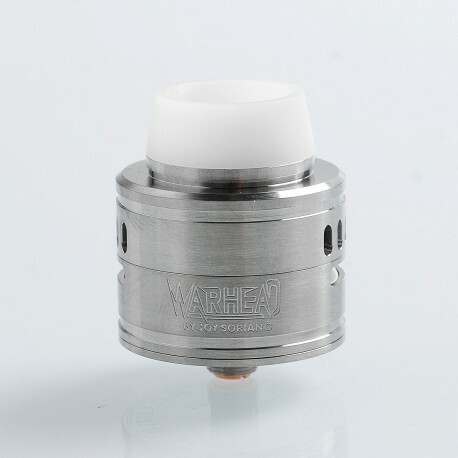 The build deck comes with triple post design for dual coil building. 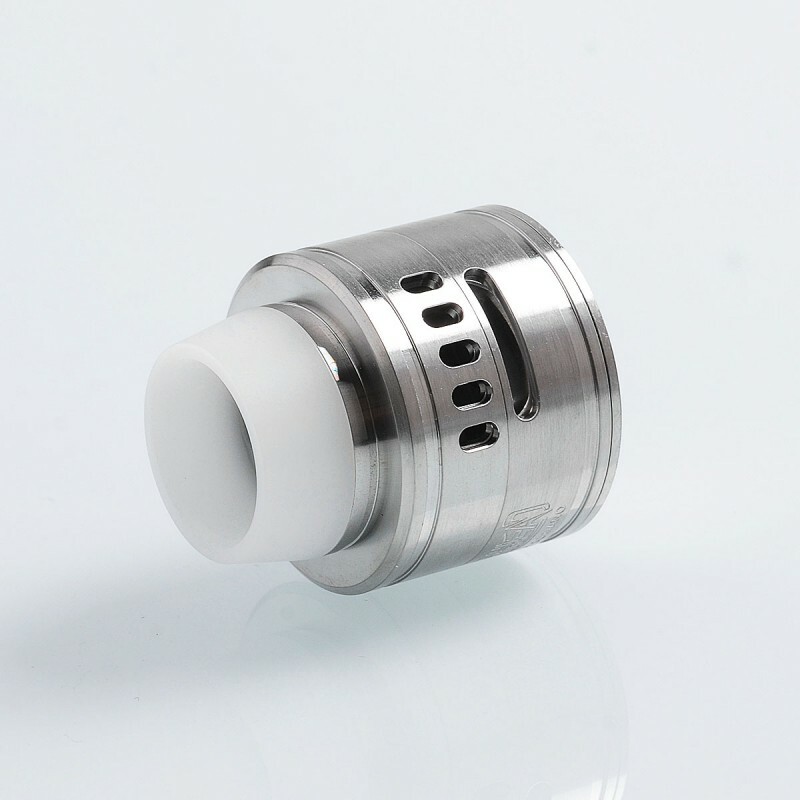 The top cap has a wide airslot and five airholes on both sides for multiple airflow configuration. 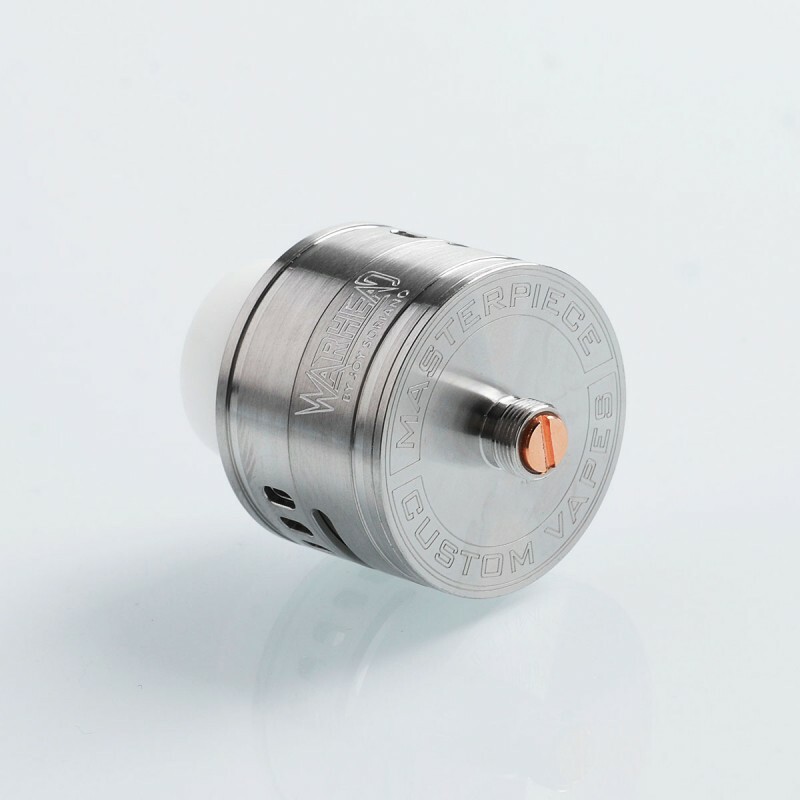 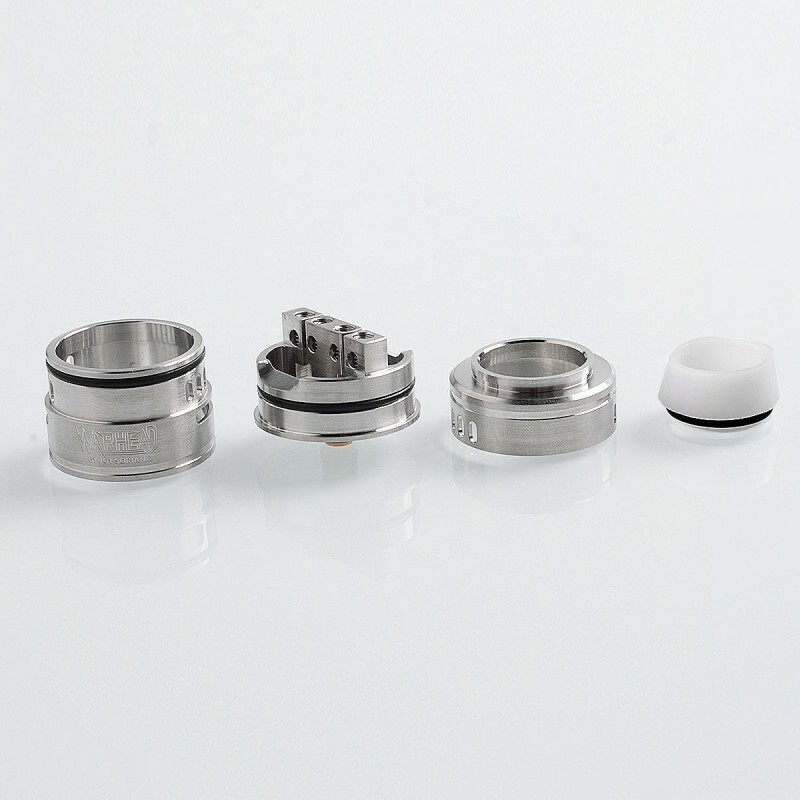 The beveled Delrin drip tip can prevent the juice spitting out.